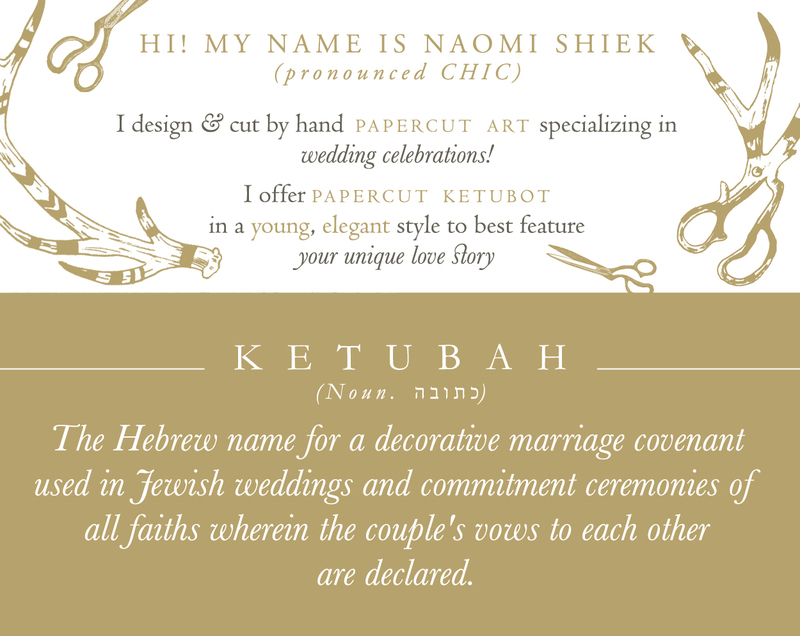 Farryn & Jake came to me with a mood board of their wedding and asked me to create a ketubah to match. They were incredibly organized with reference photos and synopsis and all I had to do was use my imagination and skill to translate all that into an artwork that will hang in a place of pride in their home. No biggie! 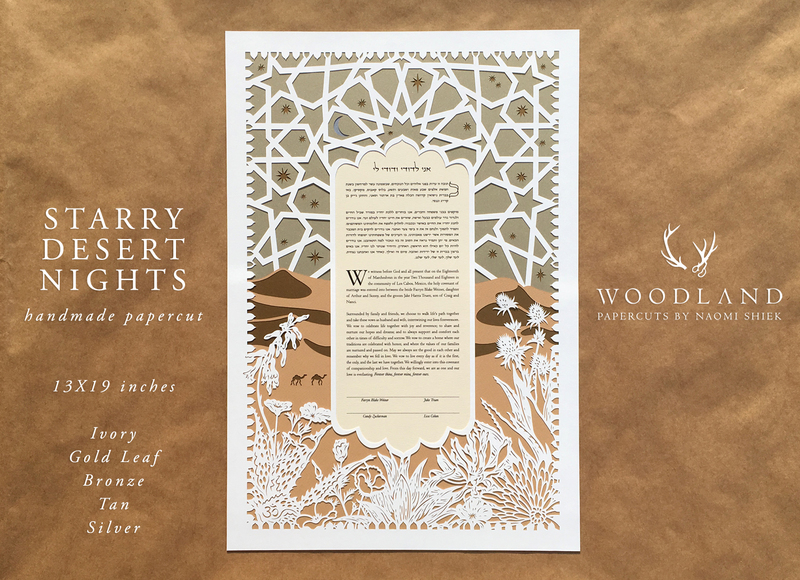 Sand dunes and cacti, a starry desert night framed by lattice decor of traditional desert cultures, this papercut feels like it could have framed poetry. Is this an elegant design befitting 1,001 Arabian Nights? You be the judge. 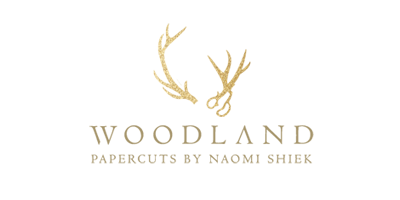 I ended up doing several versions before the client settled on this one, which I think is the prettiest. I was fortunate I had a last sheet of tan paper to make up the dunes, and several shades of shimmer paper to choose from for the monochrome desert color palette the bride was looking for.